Wear stunning LEOPARD ensemble and let your wild side soar! Striking against its pearlized background, the taupe & black leopard-skin motif is encased in a faceted clear acrylic overlay and encircled by a polished hematite-plated frame. 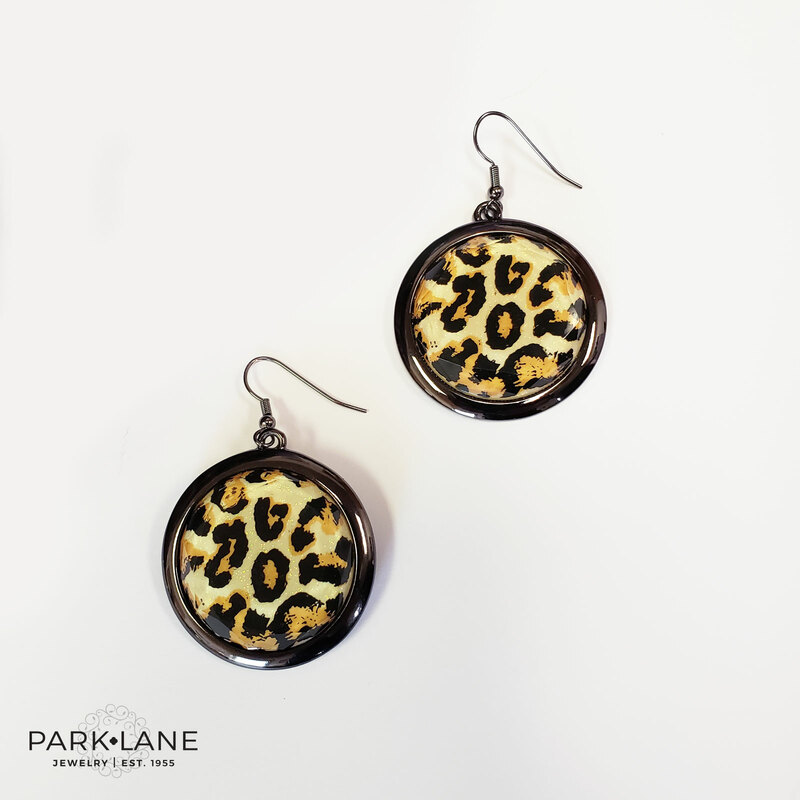 One stunning disk fashions each pierced earring Allow your animal instinct to lead you to LEOPARD! Earrings are fish-hook style.